Product #5561 | SKU A2WS-BLK | 0.0 (no ratings yet) Thanks for your rating! 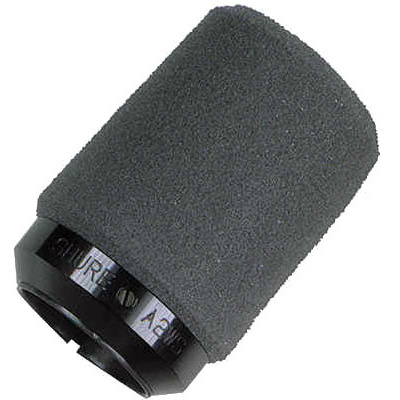 Use the Shure Model A2WS Windscreens to attenuate unwanted breath and wind noise in close talk and outdoor applications. It prevents annoying pops and ticks when a talker or performer speaks or sings closely into the microphone and shields the microphone from rushing and whistling sounds in adverse wind conditions. Effective and rugged, the A2WS fastens securely to both hand-held and stand-mounted SM57 and 545 Series microphones. It is available in gray (A2WS-GRA) and black (A2WS-BLK).